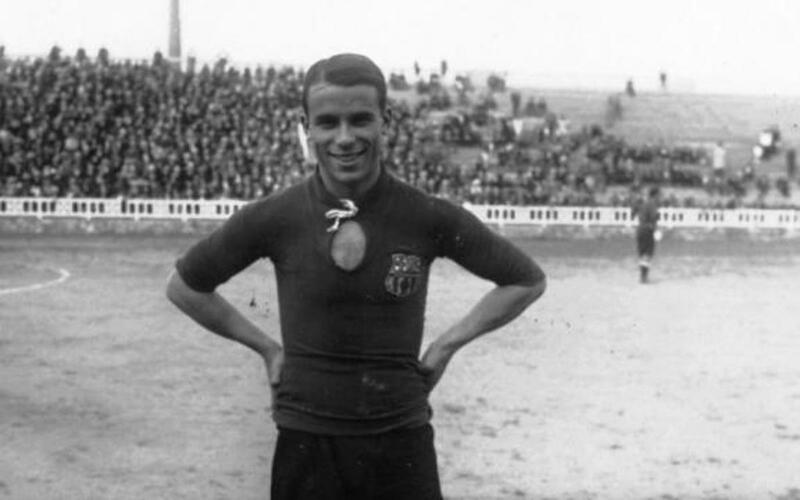 His acrobatics and amazing jumps captivated the FC Barcelona fans who very quickly made him into their idol calling him “lobster man” and “magician”. The first “boom” of football crowds, came about thanks to him. A football team was created around him due to his exceptional technique and great football skills. Eventually the football field became too small to cater for the crowds and “Les Corts” was built in 1922. With Samitier Barça acheived 11 Catalan Championships, five Spanish Championships and the first Spanish league that began in 1928-29. Despite starting out as a midfielder he is remembered as an excellent centre forward. The figures are significant: he scored 361 goals wearing the blue and claret shirt which made him one of the greatest goalscorers in the Club's history. A legendary and cosmopolitan figure, his great friend, Carlos Gardel, dedicated a tango to him, and the Club held a special tribute for him at the Les Corts grounds on January 19th, 1936. Samitier also was a trainer between 1944 and 1947, winning the 44-45 Spanish League As Club Manager (position which he cccupied from 1947 to 1959 and from 1962-1972) he was responsible for the signing up of Kubala in 1950. On 16 September 1993, his name was given to one of the streets near Camp Nou.